The body may have been wrapped in a shroud, and was then placed inside a wooden coffin, which was entombed in a rectangular pit surrounded with burial offerings in pottery vessels. The man was buried wearing a long necklace of 340 graduated steatite beads and three separate pendant beads made of natural stone and three gold beads. 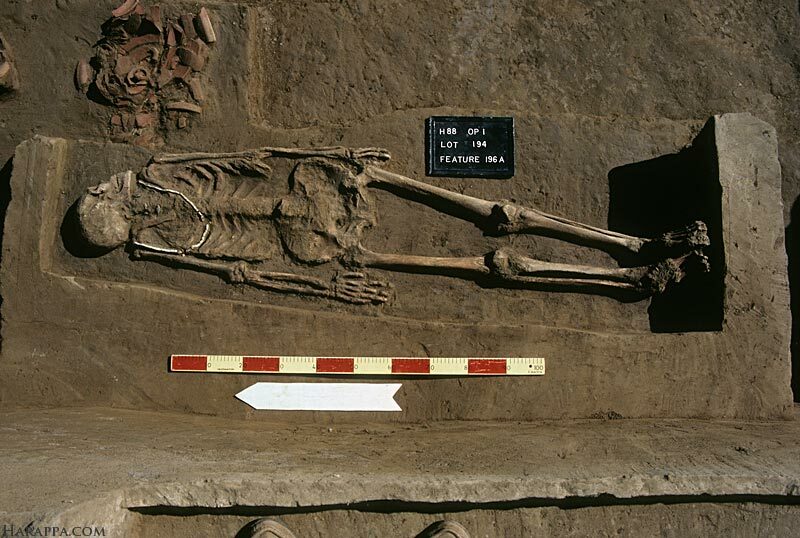 A single copper bead was found at his waist. The most prominent pendant bead is made of a rare variety of onyx with natural eye designs in alternating shades of red, white, tan and green. Gold beads were placed at each end to frame this important ornament. The other two stone beads were made of banded jasper and turquoise, with a single gold bead at one end of the turquoise bead.